1.Perfect For Halloween Party Favor, Trick Or Treat Candy. 2.Our Pumpkin lantern with witch are the greatest party accessory. 3. 7" tall. Made Of Highest Quality Plastic. 4.Pumpkin shaped with green hands and green head. Ideal for any Halloween party or event. 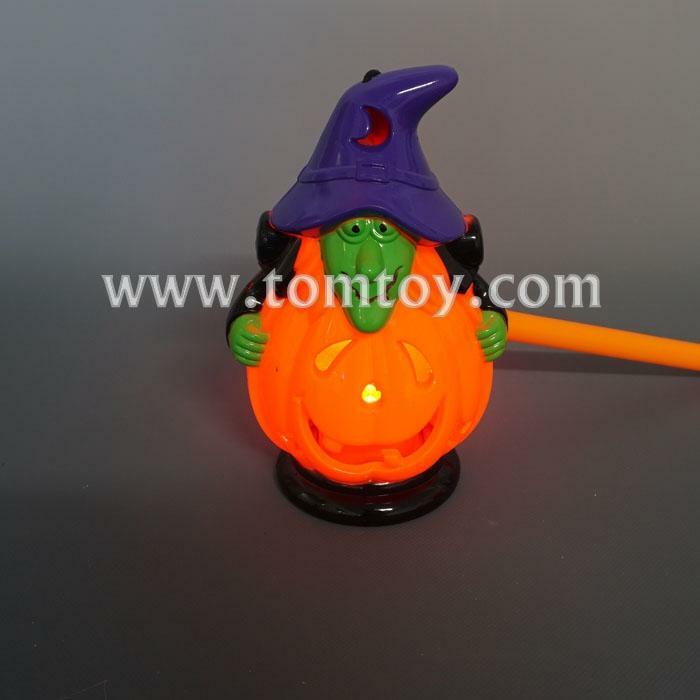 5.LED Light Up Pumpkin blinks and flashes one RED light,with sound.